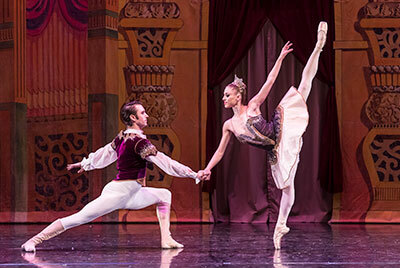 Spokane Symphony presents The Nutcracker, starting tomorrow! E.T.A. Hoffman's story of Clara and the Nutcracker Prince is brought to life by the nationally acclaimed Santa Barbara-based State Street Ballet and more than 75 local dancers. Tchaikovsky's beloved score is performed live by the Spokane Symphony at the beautiful Martin Woldson Theater at The Fox. This magical tradition is one you won't want to miss. Tickets available at the Box Office, or by calling 509-624-1200 and at www.ticketswest.com or 800-325-SEAT. 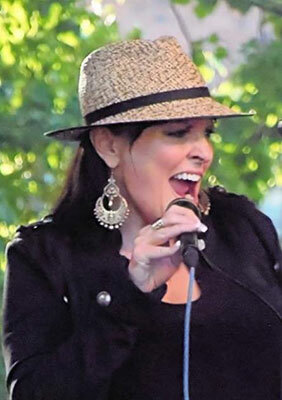 Kathleen Cavender will have a special performance tonight, November 28 at House of Soul, at 120 N Wall, show begins at 7:30pm. On stage with Kathleen with be Rachel Bade-McMurphy, Alexandra Rannow, Riley Gray on keys, Brendan McMurphy on percussion and Eugene Jablonsky on bass. Admission is free, ages 21 and over. Christmas Tree Elegance is going on now at the Davenport Hotel and River Park Square with raffles on custom-decorated trees and prizes which include gift certificates, items and cash and a Father Christmas sculpture. Twelve decorated trees and an Old World Father Christmas sculpture by Elizabeth Raol will grace the mezzanine of the historic Davenport Hotel. Sales for the Davenport trees and Father Christmas will end at 9pm on Saturday, December 8 with the drawing for winners to follow. Six holiday trees will line the second floor corridor at River Park Square. Sales for the River Park Square trees will end at 4pm on Sunday, December 9 with the drawing to follow. This year, two of the trees are designated special event trees and will feature tickets to two highly sought-after Spokane Symphony concerts. Downtown Spokane Partnership and Davenport Hotels have teamed up to bring back the magic of the Crescent holiday window displays. They'll be unveiled at a celebration this Friday, November 30 at 5:30pm at The Davenport Grand Hotel. 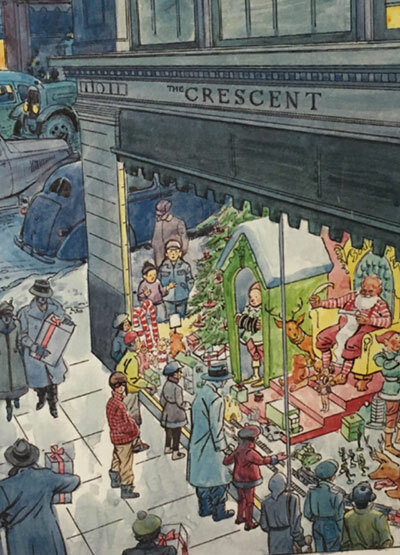 Historically, the Crescent store's elegant and creative displays brought hundreds of people to downtown Spokane every holiday season. Those displays have been stored in the basement of the old Crescent store at 707 W Main Ave for decades. Thanks to the hard work by Downtown Spokane Partnership, a team of volunteers and Davenport Hotels, a handful of the old displays have been cleaned up. 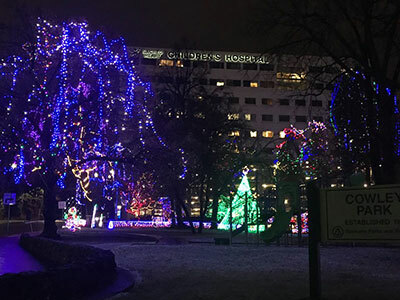 Spokane Winter Glow presents its annual Christmas light show at Cowley Park just to the north of Sacred Heart's Children's Hospital. Christmas lights, donated by various companies including Ace Hardware, are put up in the trees by Avista and Winter Glow volunteers install most of the ground displays. Winter Glow spends over 6 months each year getting the displays ready for the park. KXLY's Mark Peterson and the Extreme Team are once again lending a hand for this year's holiday display! Winter Glow began in the winter of 2014 with the mission of bringing the holiday spirit strongly back to the Spokane area with all types of holiday light displays. For more information, find Spokane Winter Glow Spectacular on Facebook. There will be three upcoming performances of Schumann's Piano Quartet in E-flat Major, Op. 47 and Brahms' Piano Quartet in C minor, Op. 60, with Benjamin Breen, violin; Martin Sher, viola; Zuill Bailey, cello; Awadagin Pratt, piano, as part of the NW Bach Fest December concerts. The Kingston Trio comes to the Bing Crosby Theater on Tuesday December 4 at 8pm. One of the most prominent groups of the era's pop-folk boom that started in 1958, The Kingston Trio have sold millions of copies worldwide. For tickets, contactwww.ticketswest.com or 800-325-SEAT. The Rodneys, a jazz band featuring Danny McCollim on Keys, Craig Landron on Sax and Vocals, and Nick Schauer on Guitar, are at the Maryhill Winery in Kendall Yards this Sunday, December 9, from 1-4pm. Get there early to secure your seat.